Truckers who fail to maintain their sleep apnea treatments have a fivefold increase in the risk of serious, preventable crashes. That's the finding of new research from the University of Minnesota Morris. The study released Monday is the largest analysis to date of crash risk among commercial truckers who have the breathing disorder. 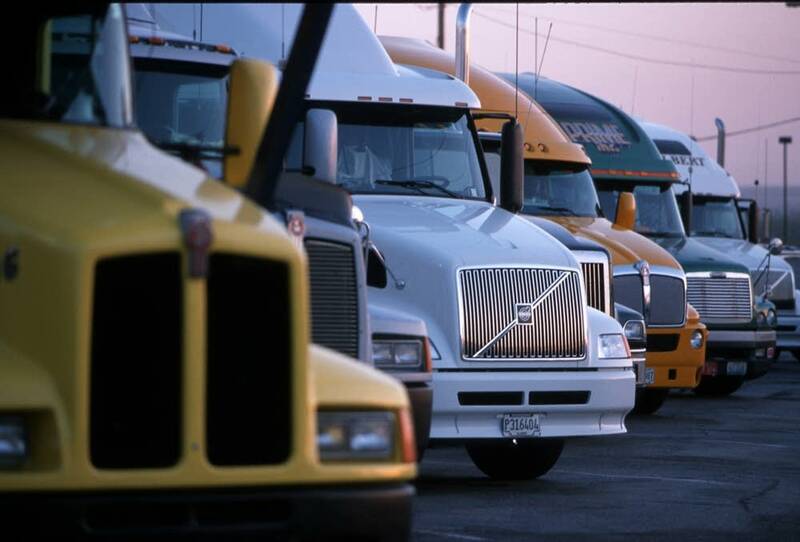 It comes as a debate heats up over whether to require sleep apnea screening for truckers. People who have obstructive sleep apnea stop breathing temporarily during sleep. The condition disrupts normal rest patterns and causes daytime fatigue. Drowsy driving can affect anyone, but it's especially worrisome in the commercial trucking industry because of the risk of crashes involving a big rig. The study compared 1,600 truckers diagnosed with sleep apnea to a group of truckers who passed an apnea screening test and were unlikely to have the disorder. Drivers who consistently followed a sleep apnea treatment plan had crash rates over 100,000 road miles that were similar to the comparison group. But crash risks were significantly higher for drivers who didn't follow through with their treatment. "The people in the control group and adherent group would have about 14 serious preventable truck crashes (out of 1,000 drivers). And the drivers in the nonadherent group would have 70," said Stephen Burks, an economics and management professor at the University of Minnesota Morris who led the study. "That is a big difference by anyone's standard." The study looked at crashes that are reportable to the U.S. Department of Transportation. The incidents were serious enough that a vehicle was towed, someone required immediate medical attention away from the scene, or there was a fatality. Truck drivers involved in these events could have prevented the crashes and should have taken actions to avoid them, Burks added. "The fact that we're looking at preventable crash data, it has sharpened our results and made the relevance of our results greater." Medical experts estimate that up to 28 percent of commercial drivers have obstructive sleep apnea. Crash data from 2004 to 2013 show that sleepy commercial vehicle operators caused as many as 8,900 traffic deaths in the U.S. over that time period. Some firms have already acted. Burks' findings were drawn from Green Bay, Wis.-based Schneider, a huge North American trucking company that has an employer-mandated program to screen, diagnose and monitor the condition among its drivers. It supplies its truckers with a free sleep apnea breathing device that tracks how often drivers wear it and uploads the data to the company's medical service provider for follow-up. Drivers who don't comply with the program can be terminated. The National Transportation Safety Board and the National Academies of Science, Engineering and Medicine recently signaled their concern about sleep apnea and driving. Both entities recommended officials address the sleep apnea issue in commercial vehicle operators, something Burks supports. But not everyone is on board and it could be a lengthy, contentious process. In 2013, the trucking industry successfully lobbied Congress to pass a law that prohibits the Federal Motor Carrier Safety Administration from developing guidelines on sleep apnea screening and treatment without collecting more data and assessing the cost of setting new standards. This month, the U.S. Department of Transportation launched its rulemaking process on sleep apnea standards for truckers and train operators. Burks said he hopes his team's research will shape the discussion. "I'm confident that what we say in the paper is statistically well-founded," he added. "Is that by itself going to move the needle on the public policy debate? Well, we will have to see."